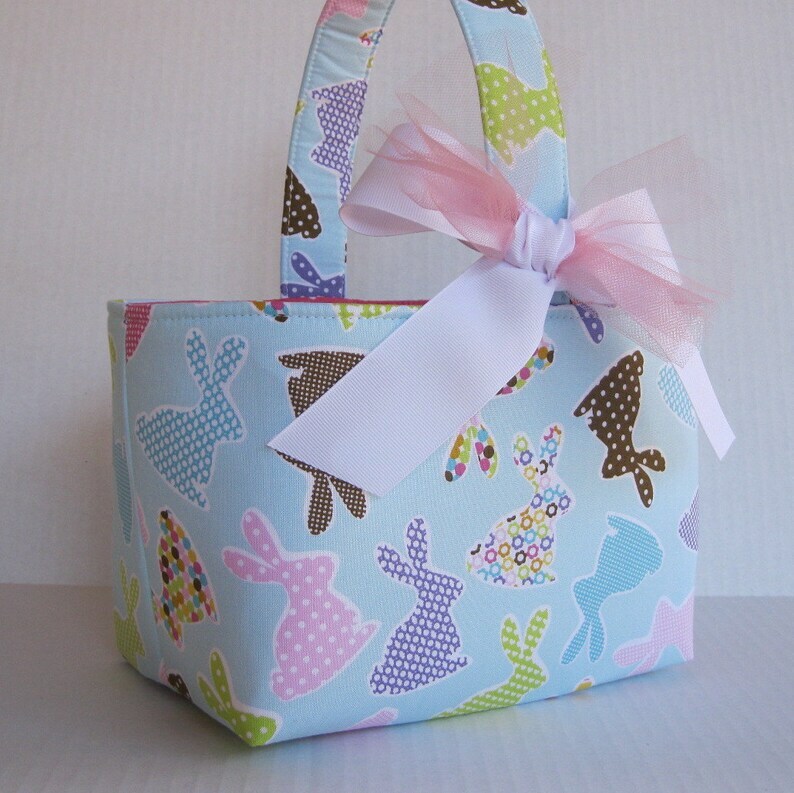 ● Colorful Bunnies on Light Blue fabric for the outside. ● Dark Pink with White Mini Dots fabric for the lining. Other fabrics are available for the lining - just ask. Love it. Nice and Sturdy.